Enjoy the best inspirational, motivational, positive, funny and famous quotes by Angelique Laforest Tremblay. Use words and picture quotations to push forward and inspire you keep going in life! 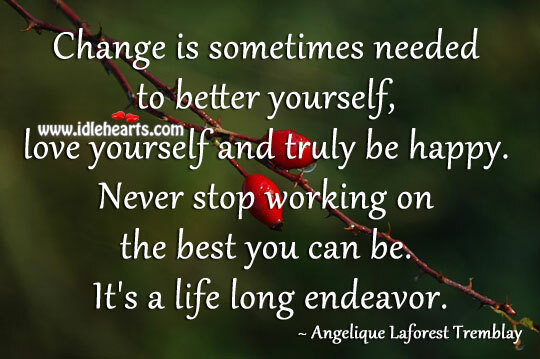 Change is sometimes needed to better yourself, love yourself and truly be happy. Never stop working on the best you can be. It's a life long endeavor.